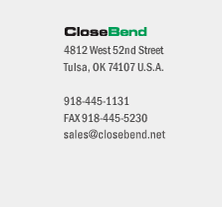 CloseBend is a leader in the welding fitting industry based on the strength of its product variety, large inventory, fair prices and prompt delivery. 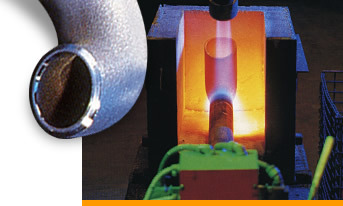 We have been in business since 1973, specializing in the manufacture of 180° return bends. From our facility centrally located in Tulsa Oklahoma, we manufacture both standard (see products page) and special return bends. In addition to producing carbon and chrome-moly fittings to A/SA-234 specifications, we produce special fittings with tubing diameters and a variety of bend radii from other materials such as SA-178. We guarantee the backwalls of all our fittings, including economizer and wasteheat boiler bends, are never compromised with a less-than-minimum wall condition. © CloseBend, Inc. All rights reserved.